Kathy began practicing classical hatha yoga in San Francisco at an ashram where she occasionally cooked. Since then, she has explored many other styles of yoga and loves the one commonality: the weaving together of breath, body, and spirit. She received her 200-hour certification from Reach Yoga in Glencoe in 2016 and has since become certified to lead trauma-informed yoga classes. 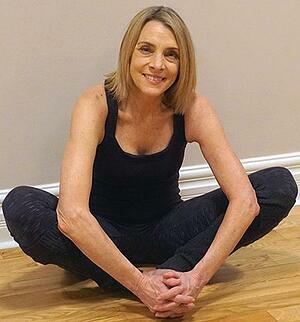 Kathy hopes that her students appreciate the extraordinary physical, emotional and spiritual benefits of yoga.